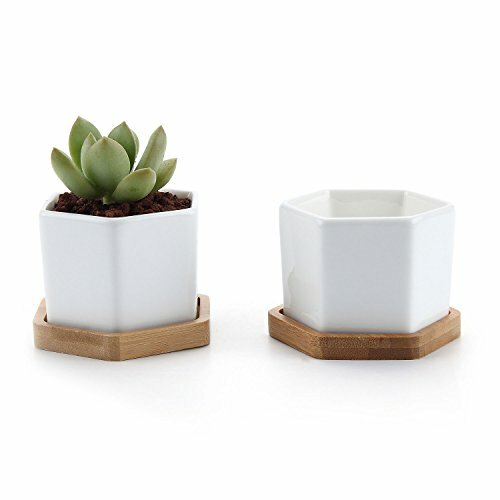 Notice: Small size plant pot, just for miniature succulent and cactus. Pack of 2; Dimension: 2.75 x 2.5 x 2inch (L x W x H). A small Drain Hole on the Bottom; Pack with Bamboo Trays.